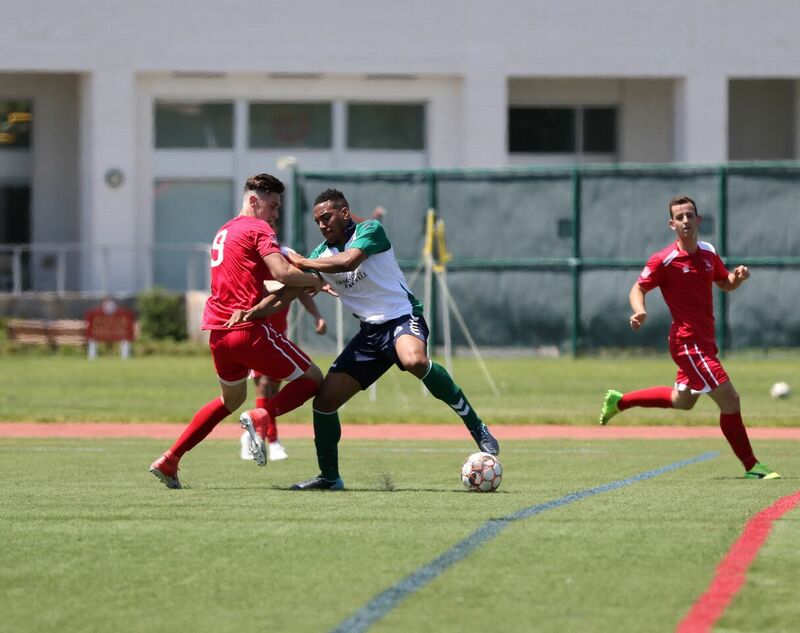 Hartford, CT. – June provided a particular challenge for Hartford Colts, with four straight away fixtures and back-to-back matches on the 16th and 17th. On Saturday the team traveled to New York Athletic Club and Sunday to Greater Lowell NPSL. On Saturday, the Colts opened up the match with a first half goal by Luke Alvaro (Somers, CT) with a tidy finish, from a Mark Grant (Coventry, CT) through ball. NYAC proved to be especially dangerous on set pieces, throughout the match, ultimately equalizing in the second half. Finishing chances came one after the other for Hartford, throughout the game, but the Colts couldn’t produce. It wasn’t until a 50 yard through ball across the field by Paulinton Johnson (Hartford, CT) found a striding Mark Grant who slipped one by the NYAC goal keeper to put the Colts ahead 2-1. Heartbreak ensued as the Colts gave up the equalizer no less than two minutes later in the 88th minute from a rebound which Hami Kara (Wethersfield, CT) produced a full extension save initially on. The next day, Hartford traveled up to Lowell for the second fixture on the weekend a bit weary from Saturday. Opening goal Deja Vu occurred, as the chemistry between Luke Alvaro and Mark Grant continued producing another goal. Alvaro would find the net again in the 2nd half, followed by game sealing finish by Andrew Geres (Portland, CT). “Sometimes you just have to push through scheduling challenges,” said Head Coach Christian Benjamin “This weekend we took four out of six possible points on the road and I think any team would be happy with those results.” Indeed the Colts were happy as both NYAC and Greater Lowell respectively sat in 3rd and 4th in the table right behind the Colts. Securing those four points could mean the difference between securing a playoff bid and missing out. The Colts return to action Saturday the 23rd at home versus the Rhode Island Reds.